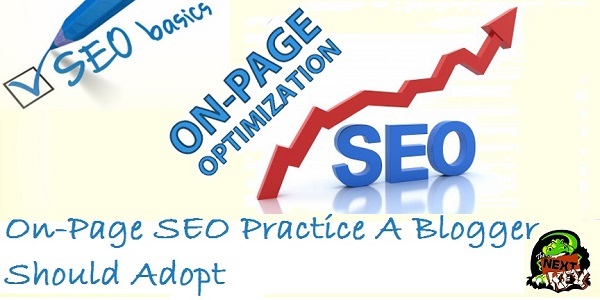 On-Page SEO is the practice we adopt while writing an article and publishing it, this ensures and increases the chances of getting organic traffic. 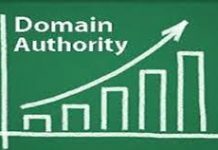 Good organic traffic means increase in your PA, DA and Alexa Ranking. Here is the final checklist of On-page SEO which you need to practice in 2015 to make sure your article ranks higher in search engines. 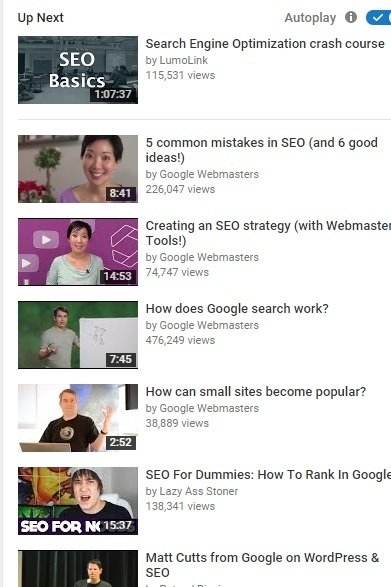 Your Keyword should appear in your title (H1 heading) and should be in the starting of the title. Make sure your title is appealing and tempting, people should be curious about whats inside it, they should be forced to open it. So the continuation of URL after backslash is your permalink. Your keyword should be in your permalinks. Again its a good practice to make sure keyword is in the starting of your URL. Permalink are very important in on-page SEO. When an a search is requested, Google bot gives first scan your title, permalink and your meta description. Therefore, if your keyword is not found in permalink, you instantly lose a very big potential traffic. Keyword is the word/phrase on which your whole article revolves, its a good practice to make sure your keyword is in the first paragraph. Again a good practice is, it should be at least once in your first three sentences. Same as stated above, your keyword should be included in your meta description of your article. Again make sure its in the beginning of the sentence. People usually ignore meta description and just give vague information. Remember meta description comes in first scan of Google bot, so give it proper time and efforts. Because if Google bot is not displaying your article than all your efforts in your content will go vain. So plan it properly, and make sure its at least 65 characters and at most 156 characters. However, I would suggest to be in character range of 140 to 156. Follow these follwing alt tags (alternative text tags) if you are using some html based or any other blogs. If you are using WordPress, just type your alternative text, when you will upload any picture, you can just add it in alt text column, where you add captions and title and description. When you copy an image or make an image, make sure you save it with a name that contain keyword or heading/subheading. Bold Important Keywords and related keywords. 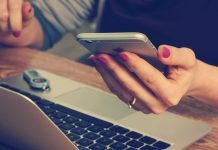 This helps the search engine clearly identify your keyword for the better ranking of your article, also italics 1-2 important Keywords for the same reason. Use Outbound Link to relevant high-quality sites. It is a good practice to hyperlink few words for a better ranking. Use links from high ranking sites like Wikipedia, or Mashable. 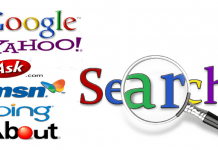 This will build credibility of your article in the eye of users and search engines. Internal links to related articles are very important. This not only helps you improve your on-page SEO but also protects your article from copycats. Mostly copycats are too lazy to search for internal links, therefore where ever they publish your article, your internal links will help the user get back to your site. Obviously its not a 100% protection, but the least that one can get is credit and the user back. If you have noticed in the starting of this article and many places I have given internal links to my other articles of this site, this not only increases page views per user but also improves your overall SEO score. To download a PDF file of stop words, click on the link below. Adding multi-media such as slides, videos, infographics will help readers get better understanding of your topic. Generally its assumed that a picture will help you save 200 words of explanation. Adding relevant picture is again a Good on-page SEO practice. Remember the drill, keyword should be in alternative text and also in any thing you add. If its a video, add keywords in captions and description. Infographics also help get backlinks, as the link will be shared and hyperlinked when ever given a reference. 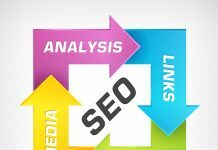 Generally it is believed and observed that longer content is a good SEO practice and improves your on-page SEO score. Its recommended to write minimum 800 words. However, News pieces are mostly of 300 words. 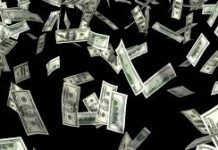 Generally a good article explaining or giving training is at least 1000 plus words. Some SEO experts believe to write more then 2000 words. Remember content is King, high quality unique content is your success in blogging. When you chose a topic try and write on related topics, so you can interlink them. I am sure you have surfed hours on YouTube, you always search with a particular video and then you click on related videos and then damn!!!! you lose count of time and realized you have spend three hours on it. So when reader search for any topic and found your article and he is reading, that means that he is interested in the very topic you wrote. So when some one is already interested in your topic and you provide them with articles related to the same topic, there is high probability that he will read your other articles. Related articles will not only increase your on-page SEO score but also your page views per user and your earning. If you are able to turn a reader into a fan than he will read your articles regularly. Page load time plays an important role in SEO score. According to a research 70% of users exit a page if the page load is more then 6 seconds. Therefore, when you add media make sure size is not too much. Optimize image before uploading: Compress and resize. Optimize your image before uploading, make sure you have used a general format that is accessible by all browsers and which does not make your image bulky. Generally people use jpeg format. Also before uploading compress your image to reduce size. Also re-size your image, remove/crop any unwanted area, it will reduce your picture size. Sometimes re-sizing is necessary as in our case, our featured image is in 2:1 ratio therefore, you have to make image accordingly to avoid any part of it being hidden by the site theme. 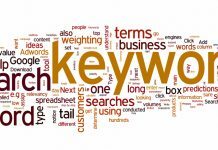 Use Google search to find related Keywords known as LSI keywords. there are the keywords that users have mostly used. So try and take idea from here and use and select your keyword accordingly. When you have written your article, the last thing before checking your on-page SEO Score and publishing your article is to proof read it. Google is very much concerned about quality and the recent updates in 2015 are to ensure good quality content provided by bloggers. Therefore, you do not want to make your Google daddy angry if you love your blog and its earning. After proof reading your article, now its time to make your blog look appealing. “Justify” align your blog so it gives a professional look. Make sure all the pictures you added are not on same side. distribute them accordingly. Last thing, add read more tag in beginning, if you fail to do so then your whole article will be emailed to your subscribers and they wont be visiting your site furthermore, your article will be displayed fully in homepage, which doesn’t look good. Featured image is really important and impacts your on-page SEO score, most of the time people click on the article because of its appealing featured image or its catchy title. So make sure you spend some time in rephrasing your title and making a good featured image to make it catchy and appealing. Simple tools like Paint and other can help you create wonderful images. All images posted on this website were edited/made using simple tools such as paint. 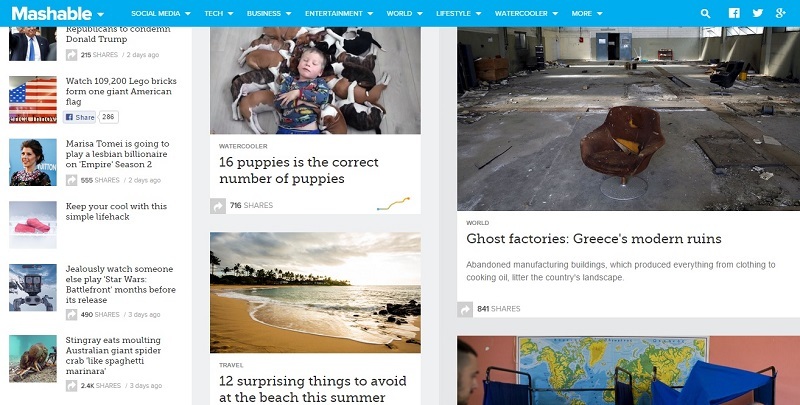 Give a look at this screenshot of Mashable website, see how their title and featured images are. When a reader visits their website, they will be forced to read few articles in one session. This is because of the tile and featured image that makes them say some words like this in their mind “ohh what is that” or “ahmm that’s happening, lets read” or “wow, that is amazing “. So your task as a blogger is to make these words in your readers mind when they come across your article. 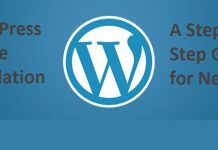 WordPress SEO by Yoast is used by The Next Rex and many other famous sites using WordPress platform. WordPress SEO by Yoast come with a live page analyst that checks your on-page SEO score. 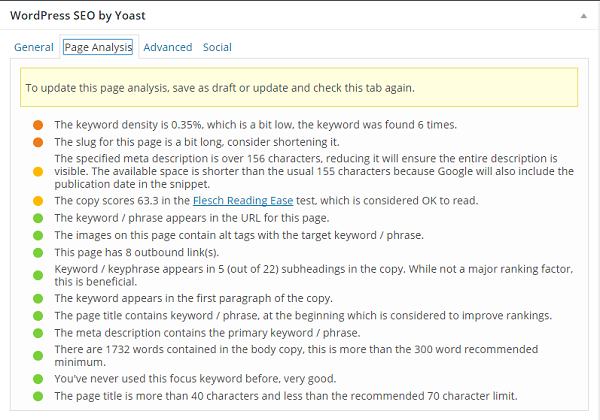 Make sure that your on-page SEO checklist in WordPress SEO by Yoast is all green. However you might end up in one or two orange or yellow. Its perfectly normal if you end up in one yellow and overall green, still try to make sure all on-page SEO points are green and so is your overall score. Fill up all the fields provided by SEO Yoast, make sure all are green and your overall on-page SEO score is green. Article should not exceed 3% Keyword Density, also use LSI Keywords. Use simple and plain English, while writing keep in mind Google Bot is your first reader. Article must be of at least 300 words for news piece, generally minimum word count is 400. Use at most 3 Internal Links only if relevant. Nofollow social site links and links pointing to low quality sites. Use rel=”nofollow” in the href parameter of such links. 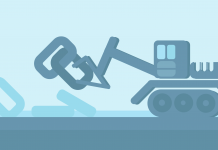 While writing Lists or talking about Top 10, always nofollow the links to the sites. Always add alt text (alternative text) in your image, as google can not read images. Last but not the least, be friendly in tone and never be too formal. As this will create an hesitation in them to start any conversation. Never sound like a robot!!! I hope you liked this article, if so please share it and follow us. I would love to hear your feedback on this, do tell us your opinion on this very same topic. I will be available on comments when ever you require any assistance.